Mr Kehinde Agboola has approached Ile Tuntun Customary Court, Mapo, Ibadan, Oyo State, seeking the dissolution of his union to his wife, Adebimpe Agboola on the accounts that she’s stubborn, troublesome, violent, and in the habit of fighting him and their neighbours. He pleaded with the court to restrain her from coming to fight him in his house and workplace. “I have had no peace or rest since I got married to my wife three years ago. She is as stubborn as a goat and always insisting on having her way. “She’s also not submissive and intentionally flouts my orders. These often lead to a fight between us. In fact, there’s no week we don’t fight. “My wife is violent. On many occasions she threatened me with a knife or other dangerous objects when we fight. “Initially, our neighbours did mediate in our issue, but my wife would always accuse them of taking sides with me. They now stay aloof and watch us fight till we are tired or sometimes inflict injuries on each other, “the plaintiff said in court. “My lord, we have lived in three different houses in our three years of marriage because of my wife’s troublesome nature. “She’s fond of fighting our neighbours and other people in the neighbourhood. She fought our landlord in the first house we lived and we were thrown out. Her troublesome nature also made us pack out of the second house. “My lord, I can’t put up with her anymore, please, separate us, “the plaintiff stated. 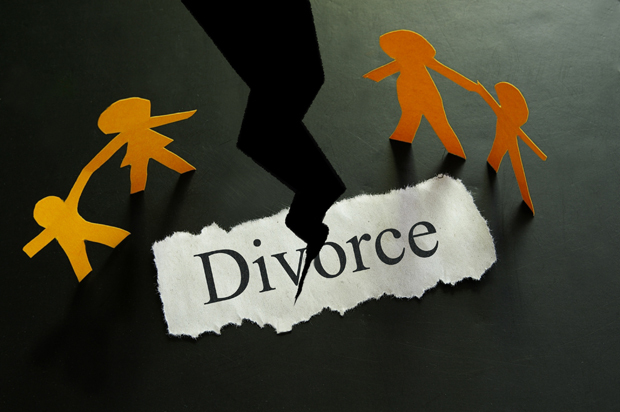 “Even though he abandoned me and our only child, I’m not divorcing him,” the defendant, however, told the court. “I was surprised to be served court summons because my husband and I never fought. “I should have been the one dragging him to court because he abandoned me and our only child. He refused to carry out his responsibilities on us and neglected our needs. “My lord, he’s a liar. We didn’t move out of the first house because I fought the landlord, but rather because it was not conducive. The second house was in his first wife’s family compound which I found improper to live in. “My lord, my husband is a weakling and never supports me whenever I’m in conflict with others. He introduced me to his first wife during his father’s burial; she went berserk and slapped me in his presence and he did nothing, “Adebimpe stated. After he had listened to the duo, the court president, Chief Olasunkanmi Agbaje, adjourned the case till December 15 and ordered them to come to court with their child and parents.